1. Preheat oven to 450�F. Cut lime into 6 wedges. Mash beans. Add taco seasoning stirring well. Spread about 3 Tbsp. of the bean mixture on each tortilla. Sprinkle with cilantro, and squeeze 1 lime wedge over each. Top each tortilla with 2 Tbsp. green chilies and 3 tbsp. cheese. 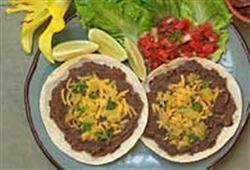 Bake tortillas at 450�F for 3 to 5 minutes or until cheese melts. Serve with fresh salsa. 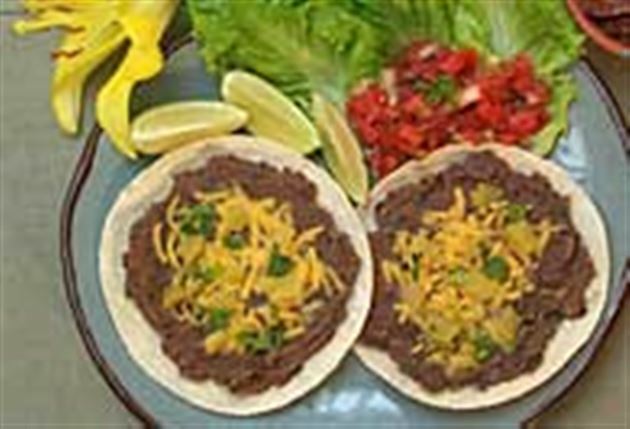 Enjoy this delicious black bean tortilla melt Mexican recipe!